Many people in Jinan, China were left confused as a bizarre shape appeared in the sky. 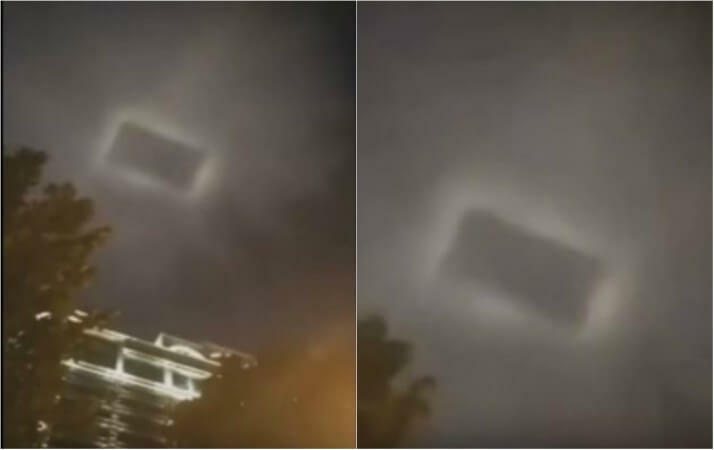 The footage was taken on August 13 in east China’s Shandong province and shows the strange shape in the night sky. Many people took to social media to question what the object in the sky might be. According to local reports, the light may have been a spotlight projection onto clouds but many residents were nevertheless baffled by its appearance.